Acústica is an handwritten typeface created by Fabián Camargo Guerrero and published by Andinistas. This delicate font has Acústica Caps, Swashes and Ornaments perfect for words, phrases and texts. It was designed to be suitable to feminine, romantic projects. With this calligraphic font can leave your mark on your projects! 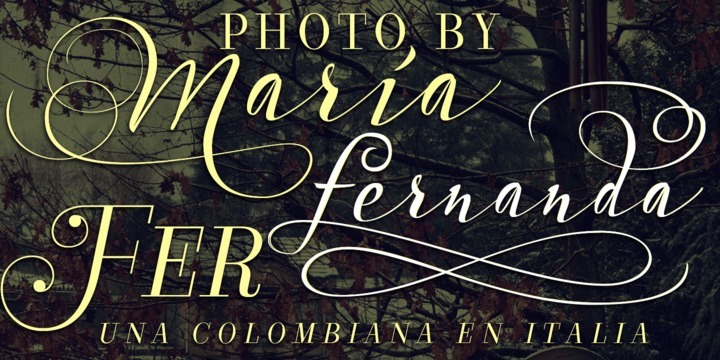 A font description published on Wednesday, April 2nd, 2014 in Andinistas, Fonts by Alexandra that has 5,663 views.